Learn how to create beautiful backgrounds using brushes in Photoshop. Make unique designs for postcards and ecards. Try out these great background ideas! Step 1 : Open a new file by clicking on File>New. Give a size of 300px by 400px. Step 2 : Select rectangular Marquee tool and drag it to make a rectangle of size 162px by 279px. Choose pink color with Eye dropper Tool. Click on OK. Select Paint Bucket Tool. Click on your canvas. It will fill the rectangle with pink color. Step 3 : Add a new layer by clicking on the Add Layer icon in the Layers panel. If your Layers panel is not open then go to Window/Layers. Name the new layer design. Go to Select/Inverse. Step 4 :Select Brush tool and this panel will appear. Click on Brush drop down panel. Select the drop down triangle. Select Special effect brushes/Azalea. Click on the canvas around the rectangle and fill it with scattered roses. Step 5 : Add a new layer by clicking on the Add Layer icon in the Layers panel. Select Butterfly from the same drop-down menu and drag on canvas. Step 6 : Now you can add text to your middle rectangle. Select Choose Horizontal Type Tool. A text layer is created automatically. Now enter the text as you want. Here it is "Become Someone' s Hero". We have created more backgrounds using the same steps given above. This brilliant postcard is having a fairy night look with shining stars. We have used in here the combination of Starburst Large and Star Large effect, which are both available in Assorted Brushes. 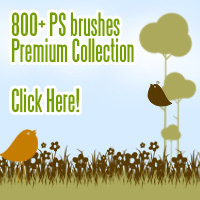 Go to Assorted Brushes/Starburst Large and Assorted Brushes/Star Large. This beautiful card is having a pink rose which you can get from Brush tool-Special effect brushes/Large Roses with Chroma. Make the Brush size as 292px. This background design is used in this card by selecting Window/Styles and choosing Textures from the drop-down menu and then choosing Sunspots. Add a new layer, click on the style, choose the paint bucket tool and click on the canvas. Isn't it so simple and beautiful? Try many many backgrounds with all the styles that are available in there.